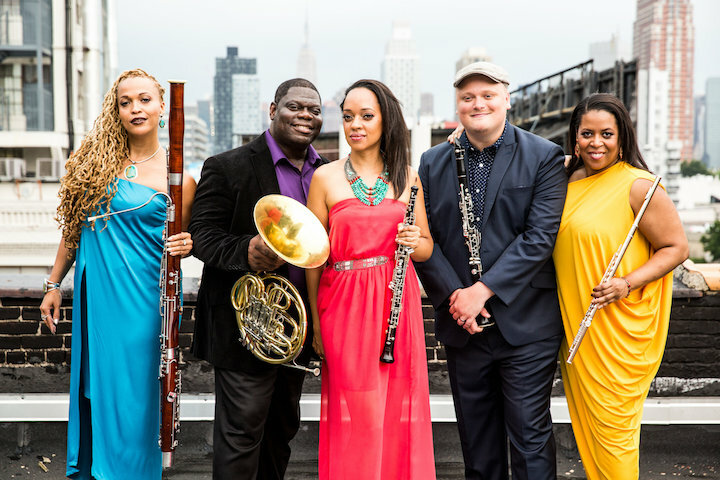 Classical Music Q&A: Here is what’s happening with the Grammy-nominated Imani Winds ensemble, which opens the new Wisconsin Union Theater series in Mills Hall this Friday night. 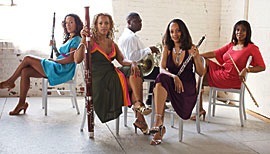 The WUT classical season, cut back this year to four less expensive and often mixed genre crossover or fusion concerts designed to help draw younger audiences, opens this Friday night at 8 p.m. in Mills Hall with a concert by the Grammy-nominated group the Imani Winds quintet (below, in a photo by Eddie Collins). 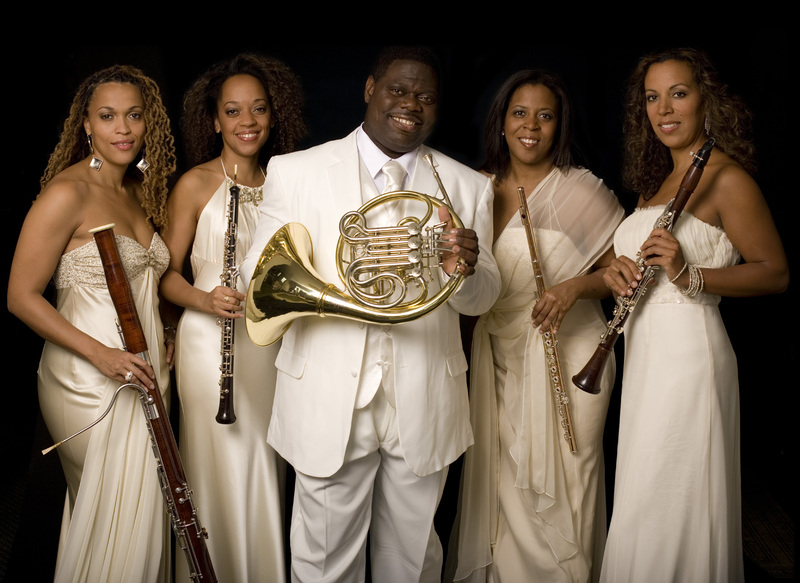 In addition to the concert, the Imani Winds will offer a free master class. The class, open to the public, is in Mills Hall in the Mosse Humanities, 455 N. Park St., on Thursday night at 7 p.m. The ensemble will also be interviewed on Thursday at noon on Wisconsin Public Radio’s “The Midday” on WERN, 88.7 FM. The program for the performance on Friday night consists of both classical and original pieces, including works commissioned by the high-energy group. Tickets for the concert are $25 for the general public, $21 for Memorial Union members, faculty and staff, and $14 for young people under 18. As always, tickets for UW Madison students are only $10 with a valid ID. Call the Box Office at 608-265-ARTS (2787), buy online, or purchase in person at the Campus Arts Ticketing box office in Vilas Hall, 821 University Ave. 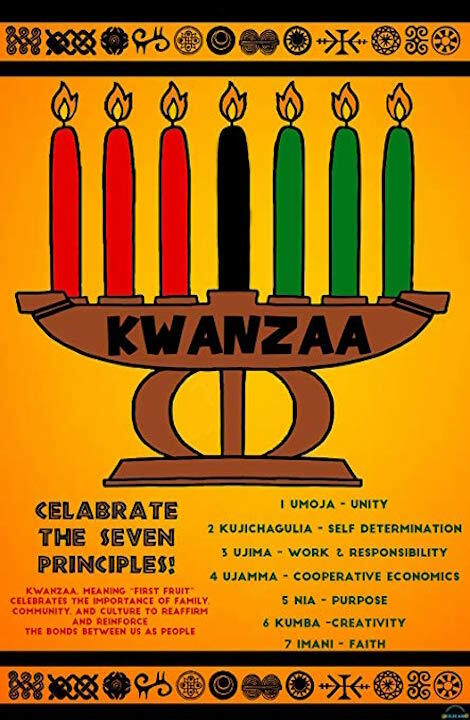 This performance is sponsored by the Wisconsin Union Directorate Performing Arts Committee and is supported in part by a grant from the Wisconsin Arts Board with funds from the State of Wisconsin. Other sponsors include the Union Theater Endowment Fund, Wisconsin Public Radio and WORT, 89.9 FM. Can you briefly describe the history of the Imani Winds: How it came into being? What is its mission or purpose, its special point of view or approach? 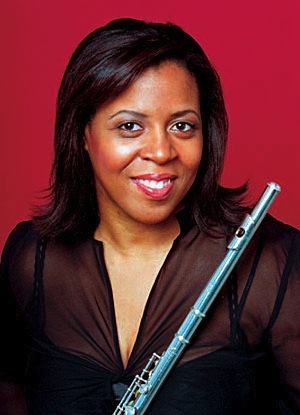 Imani Winds was just a name in the mind of Valerie Coleman, flutist, back in 1996 before she had the players. She wanted to create a group that would perhaps approach classical music from the similar ethnic and cultural background she had. The group was indeed formed without anyone but her or I knowing each other previously. The mission also involved championing composers that were underrepresented from the non-European side of contemporary music which continues to be a platform for us. Now our mission has broadened to include collaborations, expanding the idea of what a wind quintet can sound like and bridge the gap between traditional classical audiences and pop culture audience. What would attract audiences to hear the group (below)? Imani Winds performances are right away noted for the synergy and chemistry between the players. Being together for almost 15 seasons helps this and it allows the music we play to come off the page more. The repertoire is definitely not your average classical standard and we play lots of music that is written for our unique personalities. There’s usually a little something for everyone on our programs. Could you briefly comment on the pieces on the Madison program? The Madison program is “West Meets East” in a back-and-forth of works that were created in the West (the States) and pieces that are inspired by the sounds of the East. Jeff Scott’s “Startin Sumthin'” is a down home almost tribute to Henry Mancini’s “Pink Panther” style of cool jazz. Jason Moran’s “Cane” is a result of our Legacy Commissioning Project that presents a journey of a famed ancestor of his from Louisiana that had quite a story of perseverance. 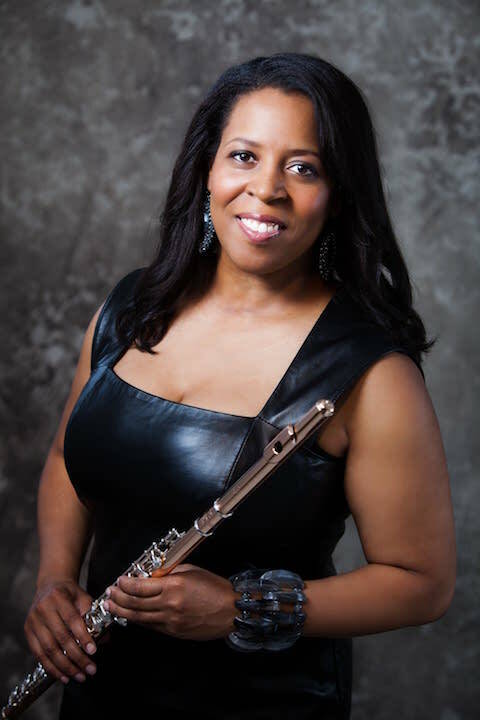 “Tzigane” by Valerie Coleman is a wild gypsy ride that was inspired by the collaborations we have had with great world musicians of the east; her suite “Portraits of Josephine” is inspired by the great ex-pat, Josephine Baker. 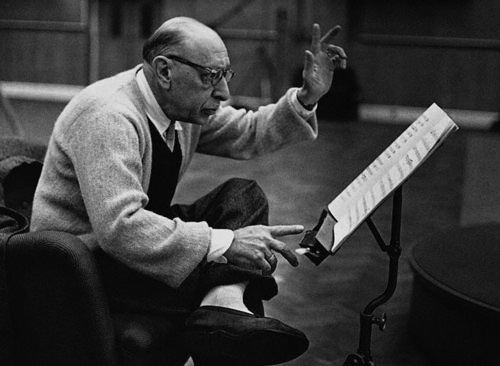 The arrangement of “The Rite of Spring” by Stravinsky (below) has been an amazing feat that changed the way people hear the piece. Look for it and the Klezmer Dances on our next album! What are your future plans for touring, recording, TV and radio appearances, etc.? We are on tour almost full-time and are having quite a bit of success with our international touring in Europe and Asia. We are in residence at Sirius-XM and find a moment at least once a year to be on an NPR program, either locally or nationally. 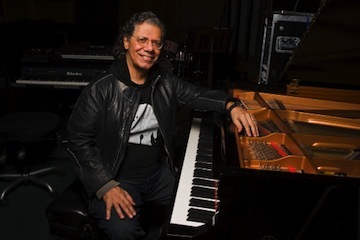 The biggest projects for us right now are the collaborations with pianists that will take us to a commission from Chick Corea (below) in a couple of years as well as the festival that we started in New York City during the summer, the Imani Winds Chamber Music Festival. We have a new album coming out this season that is self-produced and a great selection of repertoire including original pieces by our own Valerie Coleman, Jeff Scott, the “Rite of Spring,” Astor Piazzolla and the Klezmer Dances. There’s never enough time to get in all our projects at once, so it’s nice to be in a place that we can schedule things one at a time and really have a chance to dive in to each one, knowing there’s always an exciting one around the corner. Could you comment on the state of wind music today in terms of both composition and performance? Do you commission works and arrangements? We started the Imani Winds Legacy Commissioning Project for our 10th year anniversary, and it has been an ongoing love affair of working with living composers. It’s extremely important for the wind quintet repertoire to have a pump of fresh energy from composers that wouldn’t normally write for our instrumentation. So we have had great experiences approaching a wide variety of musicians. We also do arrangements, many by our own composers. But in general are very picky because we always want to make sure our repertoire highlights the diversity and virtuosity of each instrument and player.